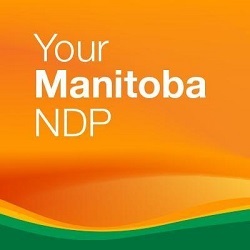 The Manitoba NDP have delayed the Province from implementing their carbon tax. The Pallister Government’s carbon tax was set to be in place as of September 1st. NDP leader Wab Kinew said that the 'Made In Manitoba' plan is a "bad deal", and that it will make life less affordable for Manitobans while not helping the environment. Kinew told Arctic Radio News that every single dollar collected from any carbon tax should go back out to help Manitobans reduce their carbon footprint, something he says the current plan doesn’t do. Kinew said that the Pallister plan does not do that, but what he and the rest of his party would put in place does. The Fort Rouge MLA added that in the city they would invest the money in transit, infrastructure and more efficient vehicles. When it comes to the north, Kinew said that programs to buy more efficient vehicles, furnaces or to help people reduce their environmental impact in other ways. He added that infrastructure will also help reduce the carbon footprint of Manitoba, as cars are more effect when they are driving on a smooth road.